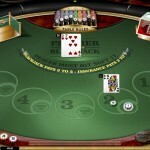 This game can be quite rewarding for online blackjack players. This is because it gives them the ability to play with five blackjack hands against the single hand that the dealer has. 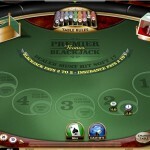 Apart from that, players will have the chance to place a side bet for each one of the five blackjack hands. 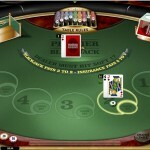 Players will choose a chip size to place the bets, they will find a chip size that varies between 1 and 100. Players can place up to 200 credits on a single hand, which means that players can place up to 1000 credits per game if they place the maximum bet on all of the hands. 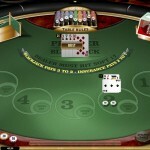 Players can also place a side bet, which has a maximum of 25 credits. This bet will be a winning bet if players get two suited cards. If they get any 2 suited cards, they will be paid 5 to 2, if they get suited Ace and Jack, they will be paid 25 to 1 and if they get an Ace of spades and a jack of spades, they will be paid 50 to 1. This bet is only applicable on the initial 2 cards that the players get.